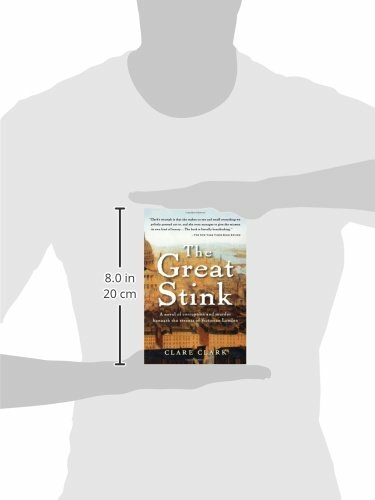 Clare Clark’s critically acclaimed The Great Stink “reeks of talent” (The Washington Post Book World) as it vividly brings to life the dark and mysterious underworld of Victorian London. Set in 1855, it tells the story of William May, an engineer who has returned home to London from the horrors of the Crimean War. When he secures a job trans­forming the city’s sewer system, he believes that he will be able to find salvation in the subterranean world beneath the city. 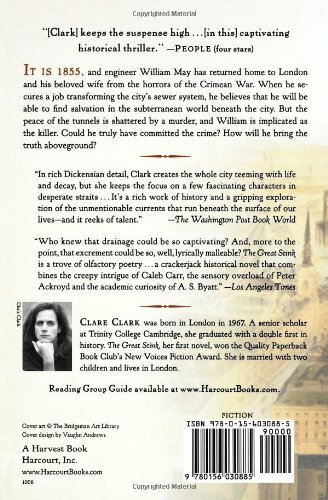 But the peace of the tunnels is shattered by a murder, and William is implicated as the killer. Could he truly have committed the crime? How will he bring the truth above-ground? 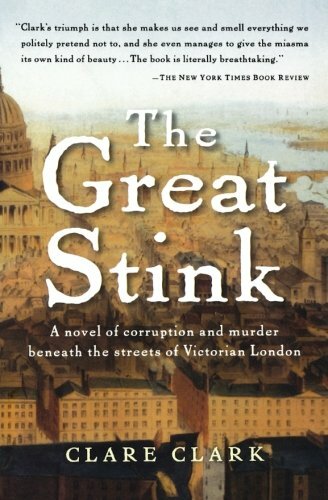 With richly atmospheric prose, The Great Stink combines fact and fiction to transport readers into London’s putrid past, and marks the debut of a remarkably talented writer in the tradition of the very best historical novelists.